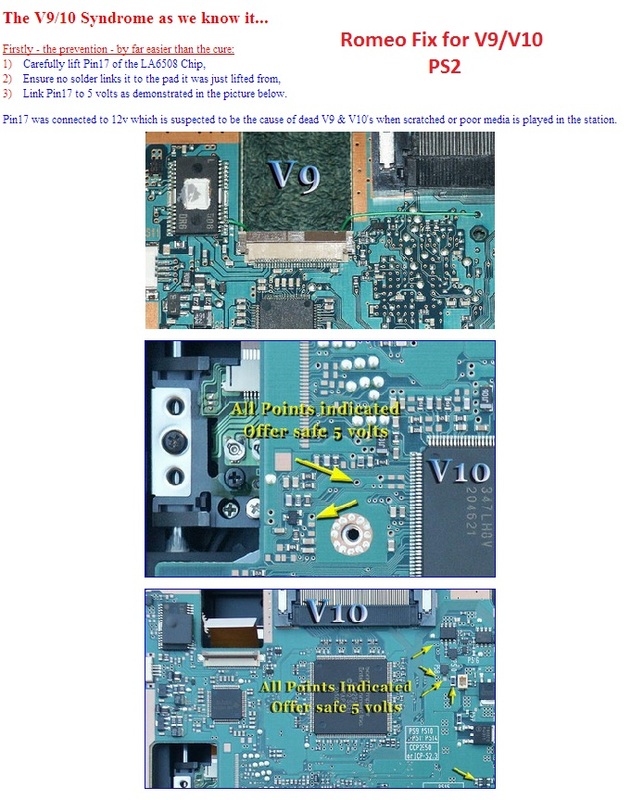 One of the last revisions of the fat PlayStation 2 was the V9. They were found in many of the SCPH-5000x models. They feature a quieter fan when compared to earlier models, and require some form of a laser fix. Matching console model numbers and board numbers are listed below. 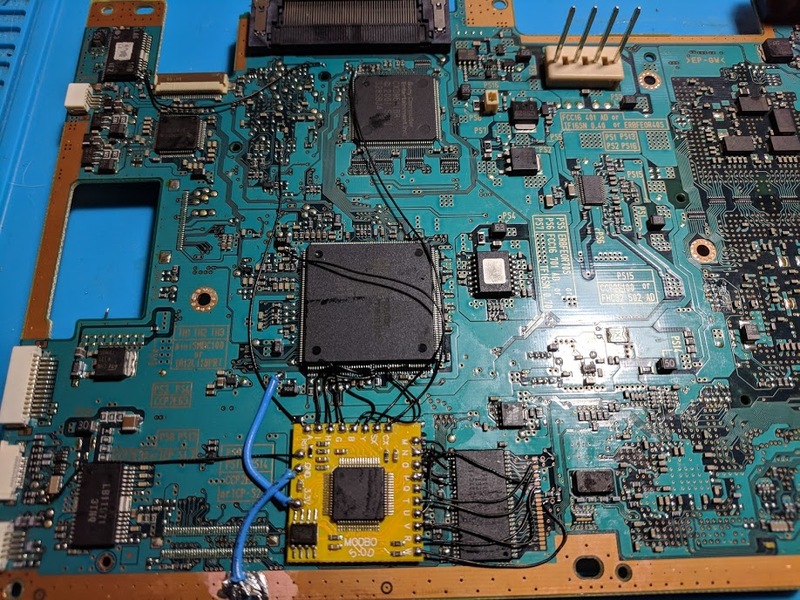 There was a defect in the design of the V9 console that can cause the laser to burn out when playing back games once a modchip has been installed. There was a fix for this problem called the Romeo laser fix. 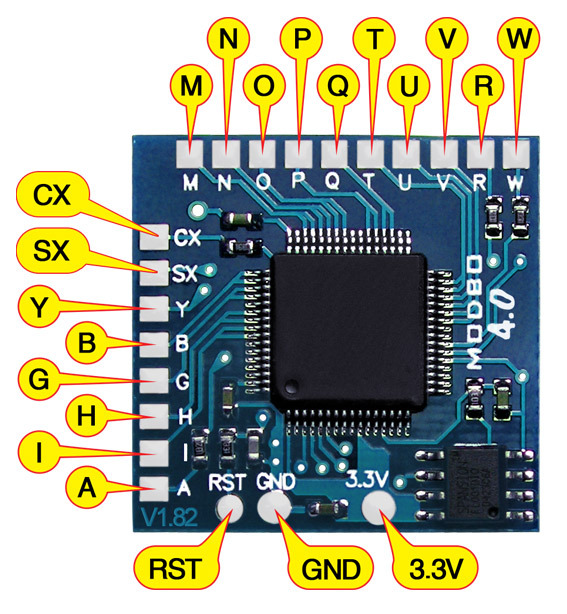 Here are some tips I have for you when you are soldering your chip into a V9. Use even thinner wire for the B, G, I, and A points. 36 AWG enamel coated wire works well. I’m planning to do a modchip installation soon, and after a bit of googling, I’m a bit confused about the Romeo laser fix. There’s this forum thread I’ve found online saying that it’s complete bogus, and it doesn’t help with anything, but I’m not sure about that. I plan to play hard copies of import games, and it seems like the Romeo laser fix is for burned games. Should I still do the laser fix, or do I just leave it alone? Thanks in advance. The fix isn’t perfect, even with the fix it is possible to have the laser get burned when playing a game. I have found that the V9/V10 systems don’t run into issues as easily as the V12 systems do. If you are just playing back genuine games that aren’t overly scratched up you’ll likely be fine without the fix. If you find the other pictures interesting, feel free to use them as you see fit, they are ALL 100% made by me and 100% open source. Are you sure SCPH-55000 is V9? 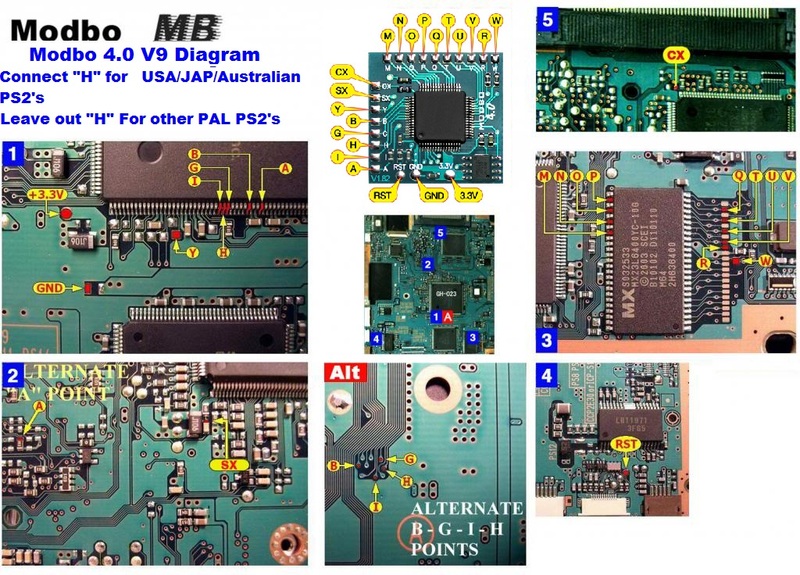 I sent my PS2 to someone who specializes in soldering, and they said that the motherboard diagrams for both V9 and V10 aren’t compatible with my PS2. My PS2 has the code of GH-026 if that helps, and I could send a picture of it if needed.. Any idea what diagram I should use? If it isn’t then they would probably be able to piece together bits from several installation diagrams (the parts that match) to get a working installation.